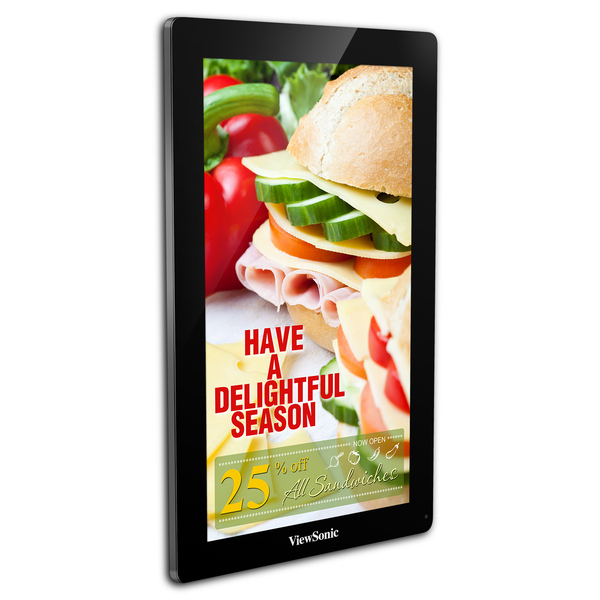 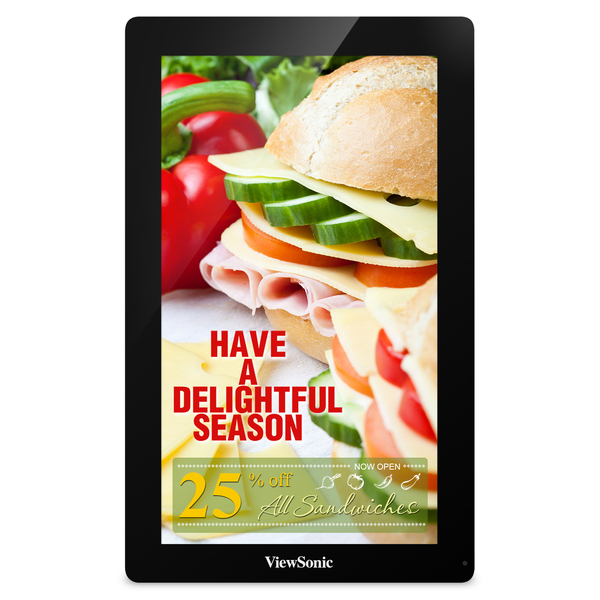 Impact ful in-store digital signage is easy with ViewSonic's new EP3203r—an all-in-one 32" digital ePoster. 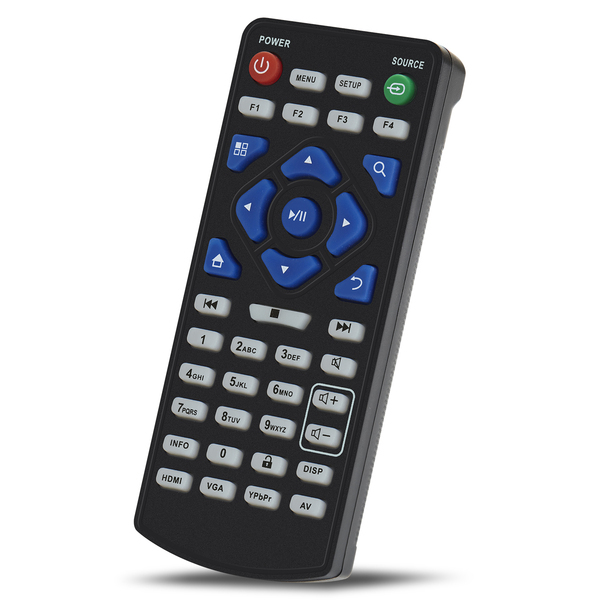 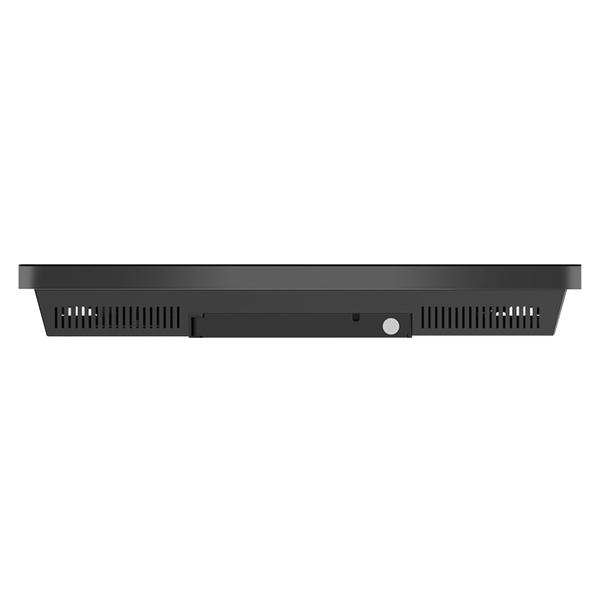 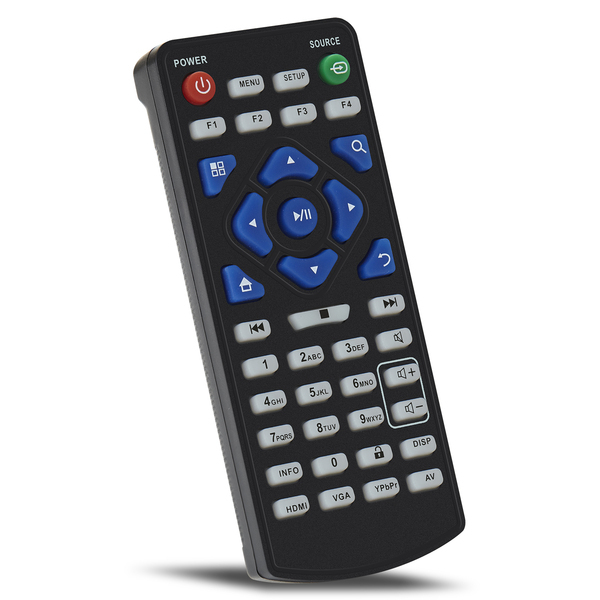 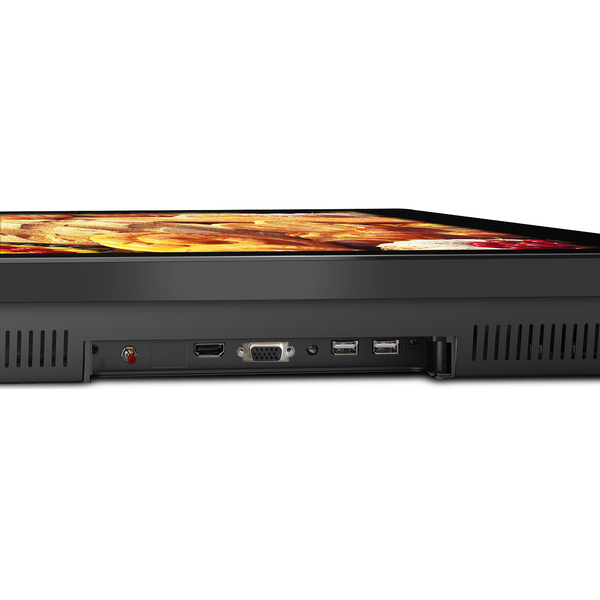 The EP3203r can be easily configured for vivid retail messaging via its internal media player, or via connection to your favorite external media player. 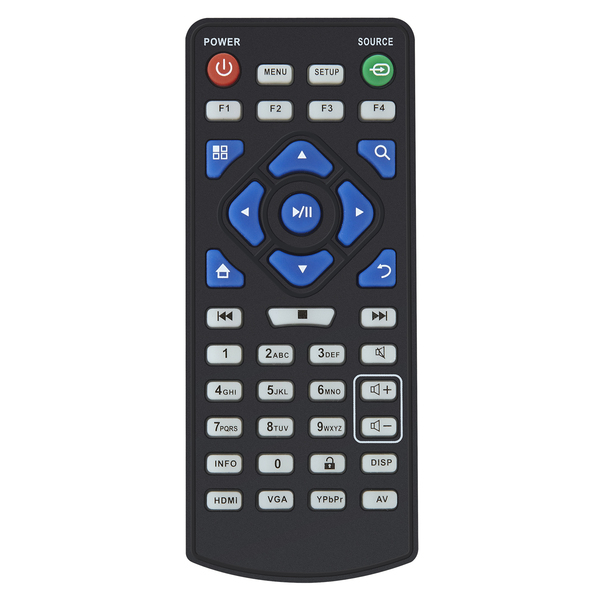 In addition, multimedia JPEG, music, or video content can be uploaded to the EP3203r using a USB thumb drive, or over a network. 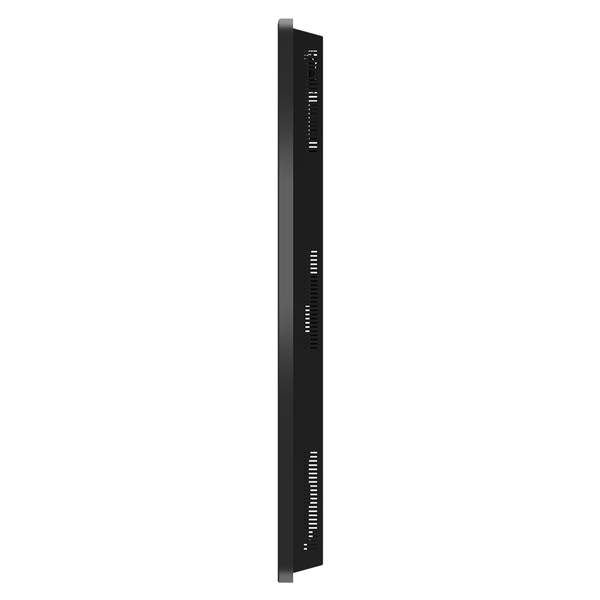 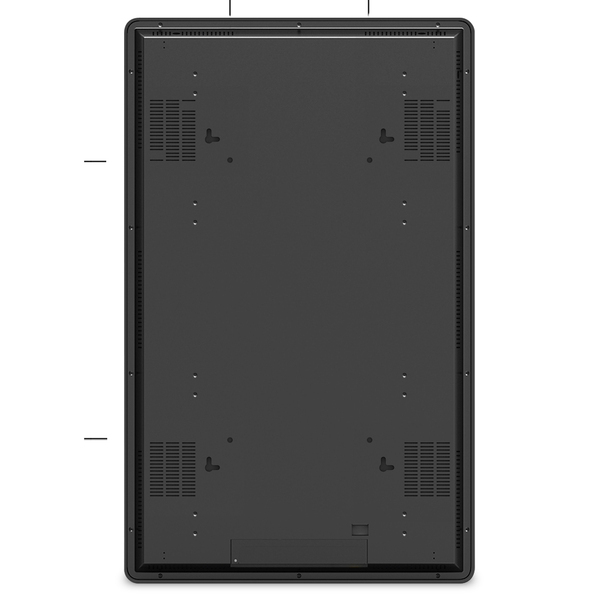 With a 200x400 mounting pattern on the back panel, the flexible EP3203r can be mounted in portrait or landscape orientation, and features a full edge-to-edge tempered glass faceplate. 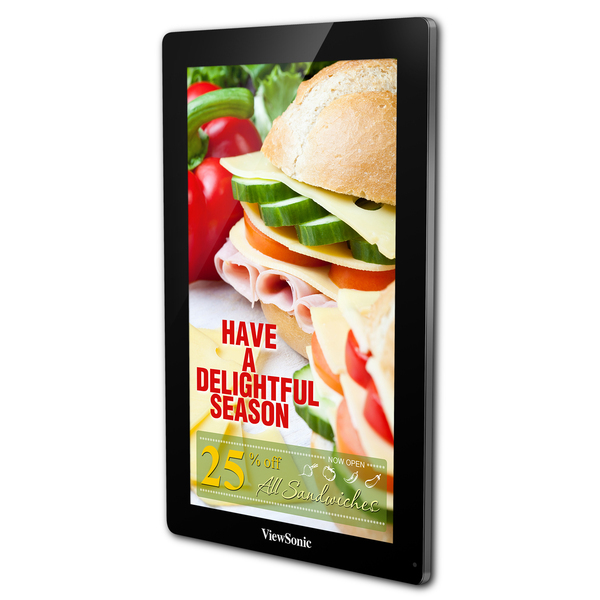 This display is ideal in high-visibility locations such as retail settings, banks and universities.